Currently viewing the tag: "office for national statistics"
Rent paid by tenants in the UK’s private rental sector, (PRS), increased by 2.1% in the 12 months up to and including March 2015, according to the latest published figures released by the Office for National Statistics (ONS), drawing claims from the National Housing Federation (NHF), that the UK is the most expensive country to rent property in within the European union. UK PRS rents are the highest in Europe, taking up 40% of tenant income despite having the shortest length of secure tenancies. In comparison our European counterparts only pay an average of 28% of their income on rent. The NHF analysed the ONS data and found that on average UK PRS rents of approximately £750 per month for properties were almost double the rental costs of dwellings in countries like Germany and Holland, where average earnings are similar. However, it is worse for tenants in shared UK properties, who typically spent around 55% of their income on rent. Across Europe, 43% of tenants had moved property in the last five years while in the UK this figure was more like 77%. When the figures are analysed more closely it works out that approximately 23 minutes of every hour worked by UK PRS tenants is spent on rent; elsewhere in Europe, it is more like only 17 minutes. The NHF also showed that the UK has repeatedly failed to invest in its own housing stock when compared to European standards, between 1996 and 2011 only 3% of the national Gross Domestic Product (GDP) was invested in UK housing, compared to 6% in Germany and 5% in France. Other findings from the analysis include the fact that 72% of tenants renting in the UK private rental sector are employed compared to 62% of residential owner-occupiers. 3.5 million property owners plan to rent out, downsize or sell properties to get enough money in the bank to pay for their retirement according to a survey by an asset management specialist. However, pension experts are warning that people could be risking poverty in retirement because of the volatile nature of the property market, especially if they were forced to sell properties as values fell. The research, by Barings Asset Management, discovered that 16% of the UK workforce would be relying on property sales to provide them with all or some of their pension pots, an increase of 13% from 2013 and the highest reported figure since 2009. Soaring residential property prices are the reason behind the trend. Last week the Office for National Statistics (ONS) said average UK residential property prices were up 11.7% in the year to the end of July to £272,000 (GBP). The biggest rise was 19.1% observed in London. 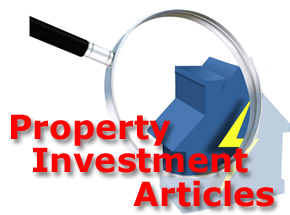 The hard hitting story was first published by the Express newspaper earlier this week, with warnings from financial advisors that property investment was a dangerous game to play. The hype suggesting spiralling rental prices in the UK’s private rental sector (PRS) are out of control, has been previously used by tenants and even some agents to brow beat private sector landlords into lowering the expected monthly rental prices has been exposed as a myth by the Office for National Statistics (ONS). Apart from the ridiculous rental situation in London, where rental prices for single dwellings are getting beyond affordable, landlords across the rest of the UK are lucky if property rental prices just about keep pace with inflation. Private rental sector rental prices are flat in monetary terms when viewed year on year even if there has been some seasonal adjustment for the Spring & Summer lettings market. The office for National Statistics (ONS) have released experimental statistical data covering the change in rental prices paid by tenants in the UK’s private rental sector (PRS). Private rental prices paid by tenants in the UK increased 1.0% in the 12 months to March 2014, unchanged from a 1.0% increase in the 12 months to February 2014. 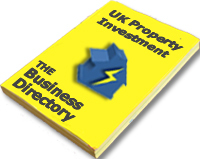 The Index of Private Housing Rental Prices (IPHRP) measures the change in price of renting property in the UK’s private rented sector and is published as a series of price indices covering UK regions. On Sunday 16th February, the Governor of the Bank of England, Mark Carney said in a BBC interview with Andrew Marr said that Northern Ireland is the only part of the UK where house prices are not recovering, stating: “If you look at the UK as a whole, everywhere bar Northern Ireland – we are now seeing house prices begin to recover, so it is a more generalised phenomenon”. However, Mr Carney’s comments provoked a backlash from Northern Ireland’s finance minister Simon Hamilton who reckons that Mr Carney’s remarks were at odds with analysis carried out by Stormont’s Department of Finance and Personnel (DFP).